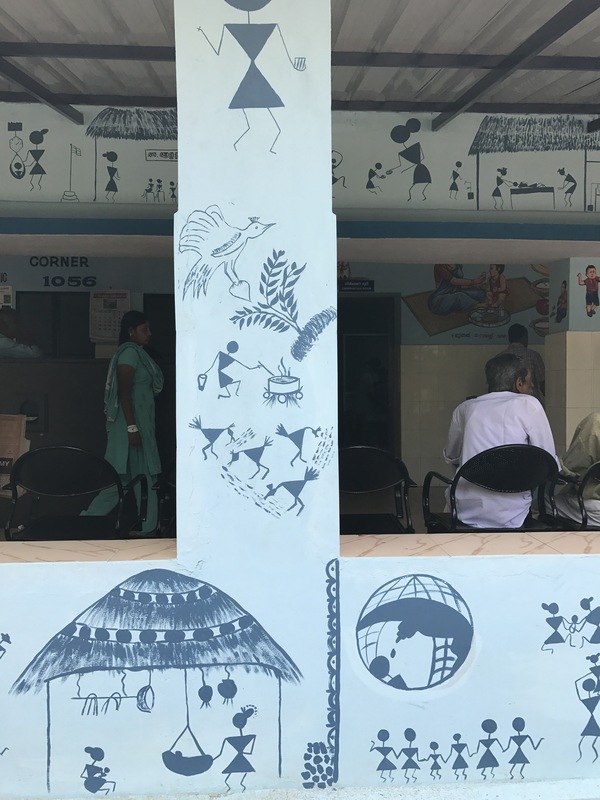 Teaching health – learning from a doctor in a tribal area in India – Go India, go future! Visualsized health information is very common in many countries and cultures. However, often these visuals focus on a specific health issue without connecting it to real life situations of people. They are rather topic- than people-oriented. Smoking harms ads in many variations, breast feeding benefits, posters show good and “bad” food… But even if the characters wear local outfits, they are often disconnected from real life and static. “We have a lot of traditional health information posters here in our primary health care center. In the malnutrition part about food, in the place where mostly men and women are waiting information about harm of smoking, immunization information, and many others. But people don’t care that much about these posters. We learned that tribals are interested in understanding the whole stories, to discover themselves in their daily life and to connect from there to a healthier way of doing. It’s not that much about one Health topic, but it’s a kind of storytelling.”, says the tribal doctor who during the past years has tried a lot of health awareness for the tribal people in the villages around. A few weeks back they have started a new way of doing – in collaboration with lical artists they have developed stories, life experiences and connected within the stories the solutions on how to conduct a healthier life. Taking water from the river, transporting it in a healthier way, cooking it before drinking; dedicating time to the children, making them play, observing their development. There are small columns in the waiting space – each column gives four examples on what a baby should be able to do at a certain age. Ir seems that the way how these visuals are done and how they are perceived make a huge difference. I just ask myself if we – when we talk about customers and health in Europe – could learn from it. We have so many information flyers and posters, too. But do we really connect to our people’s life?